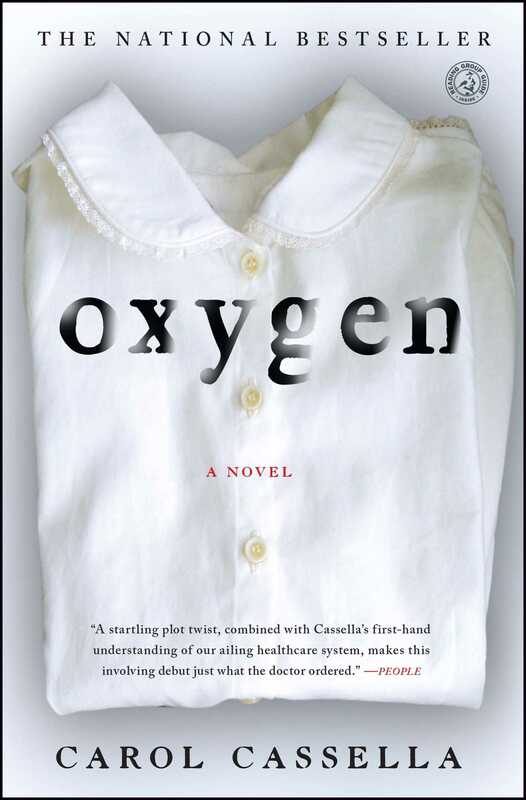 With the compassion of Jodi Picoult and the medical realism of Atul Gawande, real-life anesthesiologist Carol Cassella’s riveting national bestseller seamlessly melds compelling women’s fiction and medical drama to create an “involving debut that’s just what the doctor ordered” (People). Dr. Marie Heaton is an anesthesiologist at the height of her profession. She has worked, lived, and breathed her career since medical school, and she now practices at a top Seattle hospital. Marie has carefully constructed and constricted her life according to empirical truths, to the science and art of medicine. But when her tried-and-true formula suddenly deserts her during a routine surgery, she must explain the nightmarish operating room disaster and face the resulting malpractice suit. Marie’s best friend, colleague, and former lover, Dr. Joe Hillary, becomes her closest confidante as she twists through depositions, accusations and a remorseful preoccupation with the mother of the patient in question. As she struggles to salvage her career and reputation, Marie must face hard truths about the path she’s chosen, the bridges she’s burned, and the colleagues and superiors she’s mistaken for friends. A quieter crisis is simultaneously unfolding within Marie’s family. Her aging father is losing his sight and approaching an awkward dependency on Marie and her sister, Lori. But Lori has taken a more traditional path than Marie and is busy raising a family. Although Marie has been estranged from her Texas roots for decades, the ultimate responsibility for their father’s care is falling on her. As her carefully structured life begins to collapse, Marie confronts questions of love and betrayal, family bonds and the price of her own choices. Set against the natural splendor of Seattle, and inside the closed vaults of hospital operating rooms, Oxygen climaxes in a final twist that is as heartrending as it is redeeming. People feel so strong, so durable. I anesthetize airline pilots, corporate executives, high school principals, mothers of well-brought-up children, judges and janitors, psychiatrists and salespeople, mountain climbers and musicians. People who have strutted and struggled and breathed on this planet for twenty, thirty, seventy years defying the inexorable, entropic decay of all living things. All of them clinging to existence by one molecule: oxygen. The entire complex human machine pivots on the pinnacle of oxygen. The bucket brigade of energy metabolism that keeps us all alive ends with oxygen as the final electron acceptor. Take it away, and the cascade clogs up in minutes, backing up the whole precisely tuned engine until it collapses, choked, cold and blue. Two portals connect us to oxygen—the mouth and the nose—appreciated more for all their other uses: tasting, smelling, smiling, whistling, blowing smoke and blowing kisses, supporting sunglasses and lipstick designers, perfumeries and plastic surgeons. Seal them for the duration of the morning weather report and everything you had planned for the rest of your life evaporates in a puff of imagination. There is a moment during the induction of general anesthesia when I am intimately bonded to my patient. A moment of transferred power. I squeeze the drug out of the syringe, into the IV line, and watch the face slacken, watch the last organized thoughts slip from consciousness, see breathing shallow, slow, stop. If I deserted my patient—deep in that swale of sleep, as suffocation colored blood blue—the lips would turn violet, pink skin would dull to gray, and the steady beep, beep, beep of the heart monitor would fade, then falter. Like an archaeological ruin, the brain would die in levels; personality, judgment, memory, movement collapsing like falling bricks to crush the brainstem’s steady pulse of breath and blood. There are points in an otherwise routine day when I am struck by how precariously this unconscious patient dangles, like a hapless fly on a spider’s thread. It is like drowning, but blessed unconsciousness precedes desperate air hunger. At the last instant I swoop in and deliver a rescuing breath, adjust my machine to take over what the brainstem can no longer command—make the lungs move oxygen in and out to keep the heart beating, transferring each oxygen molecule to the cells. It becomes so easy, after years of the rescue. It becomes so routine, to watch the ebb of consciousness followed by the ebb of breath, and then to spring up as the obligate hero. It no longer feels like power. It feels like a job. I am an anesthesiologist—a practitioner of the art and science of anesthesia. The word means, literally, “no sensation.” In our modern lexicon it denotes a temporary loss of sensation, an absence of pain during an otherwise painful procedure. That is how I see my job: to make painful events painless; to coax and manipulate the human mind to give up its fierce clutch on control, its evolutionary reflex to flee from dismemberment and violation. Granted, most patients come to surgery out of choice: the shoulder that stiffens on the squash court; the gallbladder that pangs upon digesting a rosemaried leg of lamb; the nuisances of body fat or age lines. Then, of course, there are the unfortunate twists of nature that destine some of us to die before a graceful blur into old age: the cancers creeping into baseball-sized tumors while we pay our bills, prune our roses, plan our children’s birthday parties. Or the silent shearing of aortic aneurysms and coronary vessels and carotid arteries that snap our smoothly humming lives in half while we argue with our teenagers or make love to our husbands and wives. These events bring us to the doors of doctors and emergency rooms, place us supine on the white-sheeted gurneys rolling down the long, green-tiled, fluorescent-lit hallways into the cold and windowless operating rooms of this nation. Today is a day like any other workday for me. I shut off my alarm before five and stand shivering beside my bathroom heater while the shower runs to warm. Somewhere in the city my patients are also beginning to rouse, anxious about their operations, worried about the ache or illness that can only be cured with a knife, trying to imagine the inevitable scar, trying to anticipate the pain. Maybe even trying to envision me, a stranger, the only doctor directly involved in their care whom they’ve never met. People may select their family practitioners based on comfort and trust, and their surgeons through reputation or referral, but anesthesiologists are usually assigned to an operating room rather than a particular patient. Hospitals couldn’t absorb car accidents and emergency C-sections and gunshot wounds into an already crowded surgery schedule without a flexible, interchangeable anesthesia team. That anonymity almost kept me from choosing this specialty when I was in medical school. I wanted to be involved with my patients’ lives, not just be a transient manager of their pain. I balked at the hubris of asking anyone to yield so much control to me after only a few introductory words. But within the first week of my anesthesia rotation I discovered that I loved this work—its precision and focus, its balance of technical skill and clinical judgment; finessing the interplay of heart and lungs while the brain sleeps; titrating narcotics and nerve blocks to that sweet spot in which a cancer patient’s pain is relieved and they can still enjoy the time they have left with the people they love. And inside the scant space of my preoperative interview I’ve found an entire cosmos of healing: the quick read of trepidation or naive acquiescence; the flash of entrapment or submission; perceiving the exact phrase or touch that can transform me from stranger to caretaker, from assigned clinician to guardian. I can’t prove that rolling into the operating room believing you will be kept safe improves the outcome of surgery, but it’s where I find the artistry in my work. I slip on worn blue jeans and a loose sweater, thankful that I only have to dress for the commute. The aroma of coffee lures me into the kitchen, still dark as midnight. Tasks start to crowd out dreams—my presentation on labor epidurals for the nurses is due next week, the pharmacy committee wants a rundown on muscle relaxants, I have a dozen phone calls to make, and I should have changed the oil in my car about 12,000 miles ago. The phone rings just as I screw the top on my travel mug, one foot already out the door. I grab it on the last ring in a lunge across the kitchen counter that spills coffee down my arm and knocks over a neglected potted violet, more brown than green; bone-dry dirt skitters across the floor. “Aunt Marie? It’s Elsa.” Her voice is muffled and I hear a squall of tears tangled in her throat. I drop my keys into my purse and lean on my elbows across the kitchen counter. “No. I was working late, anyway. What about?” I shove the coffeemaker at an angle so the red numbers on the clock don’t glare at me. “She just doesn’t get it!” Her anger erupts into sobs. She is fifteen, the eldest child of my sister, Lori, my only sibling. When Elsa turned fourteen I was suddenly promoted to autodial status; I am the nonmother with all the answers to the questions she can’t bring herself to ask her mother. As honored as I am, I have to suspect she turns to me because she knows I’m holding both their hands. Elsa calls out to my sister that she’ll be down when she’s dressed, stop bugging her. “What are you wearing?” she asks in a bright new voice, her distress forgotten. “Caught me again! Remind me and I’ll send you some scrubs. Tie-dye them for me, huh? My boss would love that. So, what are you wearing?” Her laugh could almost make me forget about time. Eight minutes later Elsa is out of the closet and on her way to school. If the traffic lights are with me, I’ll be OK.
First Lutheran Hospital was built in the thirties, a castle of art deco facades, a fortress against disease. I’ve worked here for seven years—long enough to have a good parking spot in the basement garage, avoiding the cold drizzle of Seattle in these early days of spring. I push the gearshift into neutral and turn the heat vent toward my face to enjoy a last second of solitude. At this early hour I’m one of the few physicians in the hospital. But the lingering night staff and arriving day shift are already filling the hallways. They chatter in Tagalog and Korean and Urdu and Spanish and English—beneficiaries of an international recruiting effort that annually scavenges the brightest graduates of foreign classrooms to staff American hospitals. It takes a small city of personnel to move each patient from the parking garage where they arrive intact to the exiting wheelchair ramp that spins them back into their lives, stocked with clean bandages, pain pills and a ten-day-follow-up appointment. All of us dress for work in the same blue cotton pants and shirts, wearing the same blue hair caps and shoe coverings designed to keep our personal bacteria out of our patients’ open bellies, chests and limbs. While much of the city still sleeps, we heave in to set up medicine’s greatest show, the Barnum & Bailey of daring adventures inside the human body. Ropes of electrical cords are uncoiled between cautery devices, television towers, bypass machines, lasers, microscopes and mobile X-ray units. Scaffolds of surgical steel are autoclaved to cleanliness, instruments displayed like exotic cutlery along lengths of wheeled tables. A swimming pool of sterile saline is warmed to human temperature, ready to plug into blood vessels and pour into body cavities. Bethany, our operating room manager, slides the jumble of planned and emergent surgeries, instrument trays, cameras, fiber-optic scopes, technicians, pumps and personalities together into a functioning organism. She’s mastered a balance of fawning and authoritarianism that keeps our surgeons grudgingly cooperative. She sits at her high desk behind a sliding glass window, clacking away at her computer keyboard with long purple fingernails, a ruling priestess over the operating rooms. She fishtails her computer mouse across the desk, clicking through screens. “Looks like . . . three generals and two vasculars are out. Should be OK.” She slides a pad of paper toward me. “Write the dates down. I’ll try to put you in light rooms. If you bring me more pralines.” I gave the OR staff boxes of my favorite Texas pralines last Christmas and Bethany’s now addicted. Sometimes I think the hospital administrators would like us to staff every operating room twenty-four hours a day; it’s one of the few sectors of hospital care that predictably generates money. But we at least make an attempt to accommodate normal circadian sleep rhythms by rotating the length of our days throughout our anesthesia group. Once or twice a week I take the first call duty and stay in the hospital all night doing whatever emergency operations come in. One of my partners takes second call, staying until late in the evening and being available to come back to the hospital if two of us are needed. Then the call peels down sequentially from there, a higher number designating a shorter workday. But all days are eventually ruled by surgical imperative—tumors encroaching on vital organs, the brittle, broken bones of old age, gangrenous limbs that threaten sepsis, twisted fallopian tubes and obstructed bowels. Bethany says, “You start in five with Stevenson, then I’ve got you covering eight in the afternoon, unless I have to slide one of the add-ons into five. Hillary’s in eight until you can relieve him—he was on call last night. McLaughlin got pulled away for a long case in radiology, so I don’t have anybody free to give breaks until after twelve thirty. Sorry. If Janovich keeps to his schedule Kuciano should be free to get you out for lunch. Maybe.” She lays out the day she has meticulously choreographed to move as many patients as possible through the system before overtime has to be paid. I look at the immense whiteboard across from Bethany’s desk that displays the entire list of surgeries and operating rooms, scheduled cases in black felt-tip pen and emergencies in red. Beside the number 5 runs a list of three short cases—a mastectomy, a ventral hernia repair and a central line placement—followed by one longer pediatric surgery. The first three anesthetics should be relatively simple and straightforward, if the patients are healthy. I’ll have to talk to Don Stevenson, my surgeon, about the child. We don’t take care of children as often as adults at First Lutheran, so those cases always seem more stressful. If Don can finish his surgeries reasonably close to the predicted time, I’ll be able to move into room 8 by three o’clock and let Joe Hillary go home to sleep. But I’ve worked with Don for a long time and know his tendency to overbook his day. “Oh God. Marconi. We’ll all be here late.” Sean Marconi is famous for working all night. Even on fourth call I am at risk for a long day. 1. After Jolene's death, Marie thinks almost as much about Bobbie as she does about her own experience. Why is it so important for her to see Bobbie? What does she hope to accomplish? 2. Marie says that no death she has witnessed affects her as Jolene's does, yet one experience was different: the death of her mother. How do you think learning of her mother's condition and attempting to help her parents understand it while she was in medical school affects Marie as a doctor? How was the time of her mother's death a turning point between the life she was raised for and the life she chose? 3. When Marie learns that the Turner Syndrome revealed in Jolene's autopsy could make losing the case and therefore her career more likely, she wonders "if all the money and possessions were stripped away, what, exactly, would be left?" What choices does the case force Marie to reconsider? What doubts does she have about her life and career? 4. Discuss the relationship between Marie and her sister, Lori. Why doesn't Marie tell Lori about what happened to Jolene immediately? What conflicting emotions does Marie have about Lori's life and marriage? 5. When Marie and Joe are in the hotel in Texas, he describes his theory of the "Big O," a theory that could apply to several characters in the book, perhaps Joe most of all. Why is it significant that Joe be the one to hold this hopeful belief? In what ways are each of the characters "cloaked"? 6. Marie's father is literally going blind, and yet each of them is blind in a way, unable to see through their estrangement and past wrongs. What does Marie learn about how her father "sees" her during her visit? What does she "see" in him? What is the significance of the gift of her mother's ring? 7. The balance between vulnerability and control functions on several levels in the novel: Between doctors and patients in the operating room, during the legal battle in the aftermath of Jolene's death, and in Marie's relationships with her father and Joe. What happens when the balance shifts in each situation? What does Marie learn about control within each context, or from each person? 8. Joe is one of the most surprising characters in the book. He buoys Marie up, he gives her strength, but in the end he is revealed as the weak one. Were Joe's feelings for Marie genuine? Does his letter change your opinion of him? Ultimately, how does Marie feel about him? 9. Betrayal is an important theme in the book. Marie is betrayed by Joe and the hospital. Bobbie and Jolene are betrayed by them too. Marie's father believes she betrayed him and his faith when she was a teenager. What other betrayals can you think of? What motivation is at the root of each betrayal? 10. Consider the depictions of hospitals and doctors on television versus in Oxygen. How does the novel's authentic portrayal of medical culture, its routines and its dilemmas, differ from what you see elsewhere? 11. The ending of the novel is particularly bittersweet. Marie's innocence is intact, but Joe's innocence, and her relationship with him, are undone. Were you surprised? Were you satisfied with this resolution? Consider the ethical dilemma presented in the book and discuss the responsibilities of physicians and hospitals. For more on medical ethics, visit the American Medical Association's principles of medical ethics page http://www.ama-assn.org/ama/pub/category/2512.html. Rather than buy the wine or food that your group would usually have, consider donating to a charity such as the one for which Marie works in the novel's epilogue. Learn more by visiting the websites for Changing Faces (http://www.changingfaces.org.uk/) or Facing the World (http://www.facingtheworld.net/). 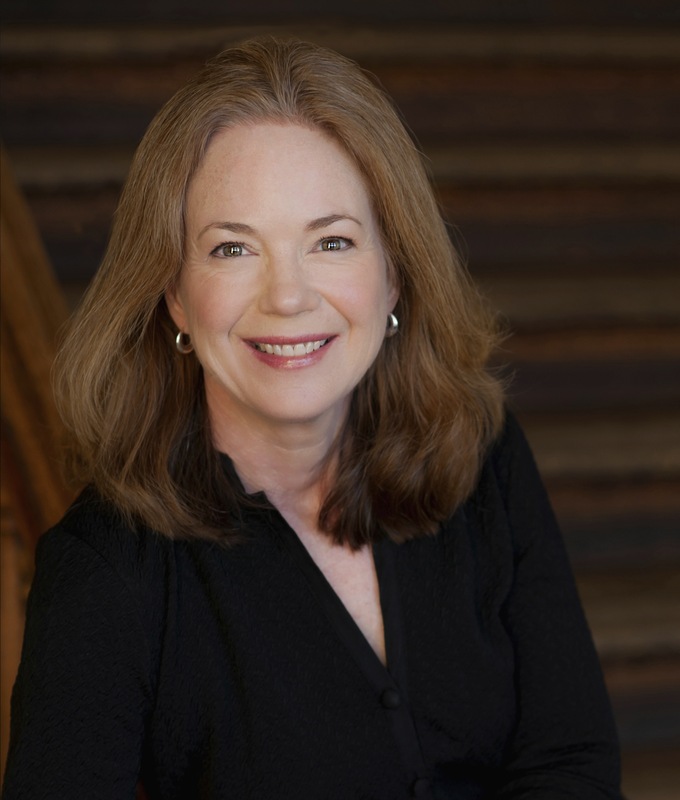 Carol Cassella, MD, is a practicing anesthesiologist, novelist, and speaker. She majored in English literature at Duke University and attended Baylor College of Medicine. She is the bestselling author of the novels Gemini, Oxygen, and Healer, published by Simon & Schuster. Carol lives on Bainbridge Island, Washington, with her husband and two sets of twins. Visit the author at CarolCassella.com.